And pen sketches in black and white. Please enjoy what we create. 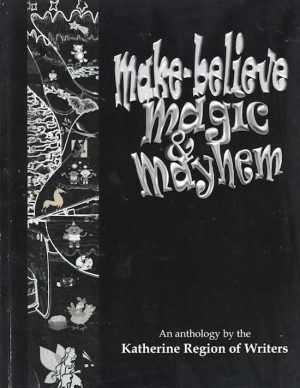 Make-believe, Magic and Mayhem is the seventh book published by the Katherine Region of Writers since the group first formed as the Katherine Literary Guild in the early 1990s. 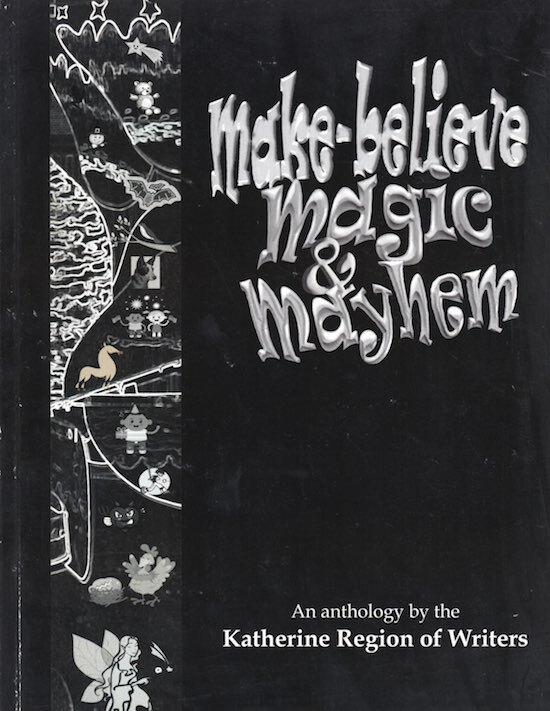 The anthologies have covered a variety of themes that have featured photos and stories about the 1998 Australia Day Flood, 2002-Year of the Outback, a collection of fiction, and the most recent collection based on a food theme, Chillies, Cheats and Chocolate.